Avant is a Chicago-based loan company that is, in the words of its CEO, focused on the typical middle-class consumer. Everyone gets in money trouble once in a while and, not requiring the minimum income from their clients, Avant is definitely the company that comes to the rescue when such situations occur. In fact, the company even accepts clients with bad credit scores, which is the main thing that sets Avant apart from other loan companies. Keep reading our Avant review to discover if this company is right for your needs. 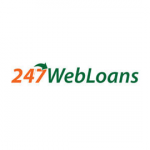 This company is ranked #2 on our Best Personal Loan Companies list. To start the application process with Avant, you need to sign up and have your rates checked. 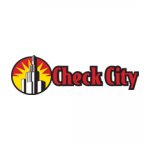 This check is performed through a secure, quick, and transparent process that does not affect your FICO score. In fact, if your loan gets through and all your payments are made on time, it may actually help you improve your FICO score since all payments are reported to major credit bureaus. Avant does not charge a fee for their loans. Their motto is “What you see is what you get” so you can expect no origination fees or hidden costs. One of the major upsides of Avant, compared to other loan companies, is the fact they have a more lenient policy when it comes to borrowers with poor credit scores. Even people who have been turned down for a loan elsewhere may get their funds quickly and safely, transferred onto their account without an origination fee. Another great feature of Avant loans is that you can enjoy certain flexibility when it comes to payment. To put it simply, the company comes up with ways to allow you to make your payment even after your due date. Of course, this extension always includes only a reasonable amount of time, nothing excessive. While researching for this Avant review, we discovered that in certain cases, a borrower may be allowed to refinance their loan with a lower interest rate, which can be done twice per loan. Before you apply for a loan, a soft credit check will be performed using your personal information. This includes your name, address, income information, and your social security number. This is the same basic info that all loan companies ask for, so there’s nothing new here. If your loan application is approved, you can e-sign your contract, which puts in motion the mechanism to transfer the funds into your account. The application is encrypted and completely secure and it usually takes up to one business day for the funds to be transferred into your account. As we have mentioned earlier in this Avant review, this company accepts clients with bad scores too. However, if your credit score is below 580, you will not be eligible for a loan. As for the minimum income required, minimum credit history, and maximum debt-to-income ratio, Avant requires none. This basically means that you will not be asked for these criteria, which is something we don’t get to see a lot with other loan companies and definitely represents a major plus. As for the loan amounts, the minimum is $1,000, the maximum is $35,000, with a minimum duration of two years and a maximum of five. The minimum interest rate is 10%, which is understandable considering that many of their clients have bad credit scores. Avant reports to three major credit bureaus, like many other loan companies. However, Avant helps you improve your credit score by constantly reminding you that timely repayments make better credit scores. When it comes to repayment, the late repayment fee is $25, but the company allows you to get those $25 back by making three on-time payments in a row after the one you missed. They call it their “late fee forgiveness” feature. Borrowers often can’t make the due date payment and Avant has some features in store for those cases. For example, certain clients can apply for a due date adjustment, which basically grants them a little bit of extra time. Furthermore, there are no special fees for loans repaid earlier than specified by the contract and there is no balloon payment at the end of the loan. Avant personal loans are a good solution for those in need of quick cash at flexible terms, especially when it comes to repayment. This service is particularly beneficial for persons with a poor credit score, who normally have a very hard time getting a loan. 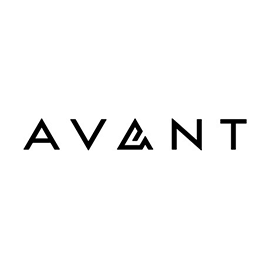 Avant offers some great benefits and in many cases represents a better solution compared to payday or short-term loans. Wow a loan that can actually improve my fico score!